'Thupaki' is getting shape really fast, one has to say. 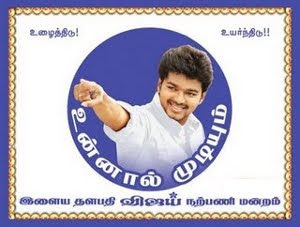 Director AR Murugadoss, who normally takes time to complete his films, is shaping up the Vijay-starrer on a fast track and 60 per cent of the shooting is over so far. "Four songs and some talkie portions remain to be shot, which we will be doing soon," says Murugadoss, who is planning to start the Hindi version of the movie (with Akshay Kumar in the lead), by August. 'Thupaki' would have been completed by this time, if there was no break in the shooting. The tussle between the producers and workers halted the shooting schedule for some time, resulting in the movie's delay. Being produced by Kalaipuli S Thanu, 'Thupaki' has Kajal Aggarwal as heroine. 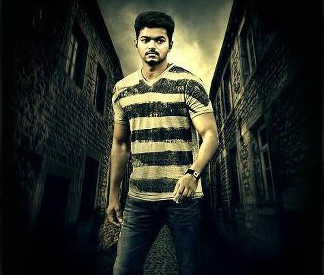 Buzz is that Vijay is playing a police officer in this action entertainer. Music is being composed by Harris Jayaraj. A month after her lover hung himself to death in her flat, item girl Alphonsa claimed that it was failure in films and family struggle that did Vinod Kumar in. Stating that he played the lead in a movie called Kavasam, which was put on hold because of financial problems, she claimed that the failure in films after despite half a decade of hard work had him feeling depressed.